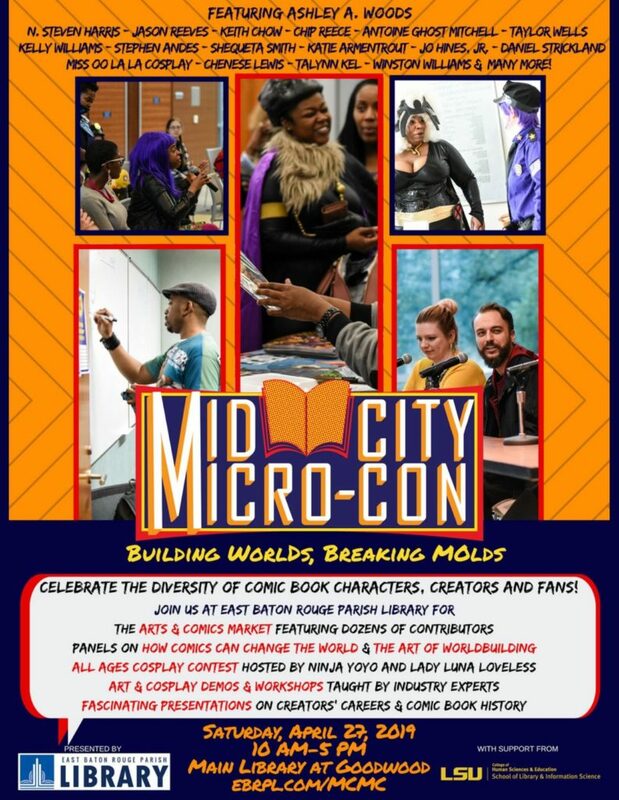 The second annual, Mid City Mirco-Con will be held Apr. 27 at the Main Library at Goodwood. This year’s theme is “Building Worlds, Breaking Molds.” Attendees will enjoy a celebration of comic books, characters, fantasy worlds, artists, and of course, the fans. The event will feature discussion panels, a comics and art market, cosplay, workshops, film screenings, games, prizes, and much more. Chenese will be presenting a Modeling 101 for Cosplay workshop from 11:30-12:30 in Conference Room B. The workshop is free and limited to 20 participants. Sign up on door beginning at 10 AM. For a full event schedule, cosplay rules, and more information, click here.